Hot on the heels of the highly anticipated release of Little Nightmares at the end of April and only a few short weeks after the first issue of the comic prequel, BANDAI NAMCO Entertainment Europe excitedly announced that the DLC they teased late in May would actually be a three-part expansion called Secrets of the Maw. The story of the expansion will focus on The Runaway Kid, a boy whose story parallels that of Six, but is expected to offer new perspective on the game’s’ main storyline. 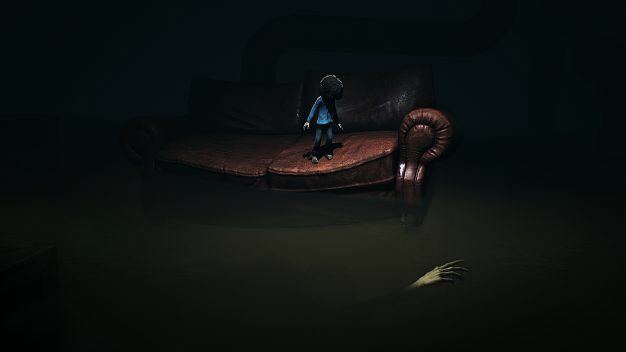 The Kid will be exploring new areas of The Maw called The Depths, The Hideaway, and a third location that developer Tarsier Studios is keeping under wraps for now. The episodes of the DLC are named after the areas they will explore, and will feature new challenges alongside familiar gameplay mechanics. The Hideaway, coming November, will likely reveal more about the Nomes, the tiny, scuttering residents of the Maw, as it is located in their home amongst the ship’s machinery. The last chapter is scheduled for release in January. Is more content, even a sequel, forthcoming? Halett was intentionally vague, responding to a question about the future of Little Nightmares by saying the studio was “fully focused” on the production of Secrets of the Maw. Little Nightmares is available in digital and physical formats on PlayStation®4, Xbox One and PC. Expansion Pass Little Nightmares: Secrets of The Maw can be pre-purchased on Steam, PlayStation®Network and Xbox Live. The Complete Edition including the base game and the Expansion Pass is also available for pre-purchase across the same platforms.